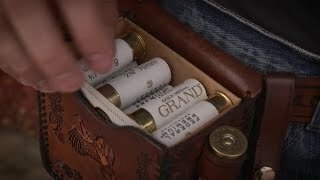 The look, feel and performance of Gold Medal® Paper shotshells made them the favorite of the most serious clay target shooters. Now there’s an even better option—Gold Medal Grand™ Paper. The loads combine Federal Premium® Ammunition’s classic paper hull and high-quality brass head with an improved design that provides less felt recoil and improved shot hardness.